High precision dispensing components provide a safe and leak free system for handling liquids and air. 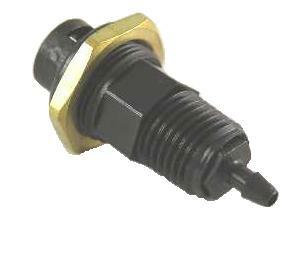 This threaded quick connect fitting is used with air-powered dispensers and allows the adapter assembly to connect. Threaded disconnect fitting to be used with pneumatic dispensers. Includes locking nut. Panel mount fitting.